And then there were two! Your twins are here! 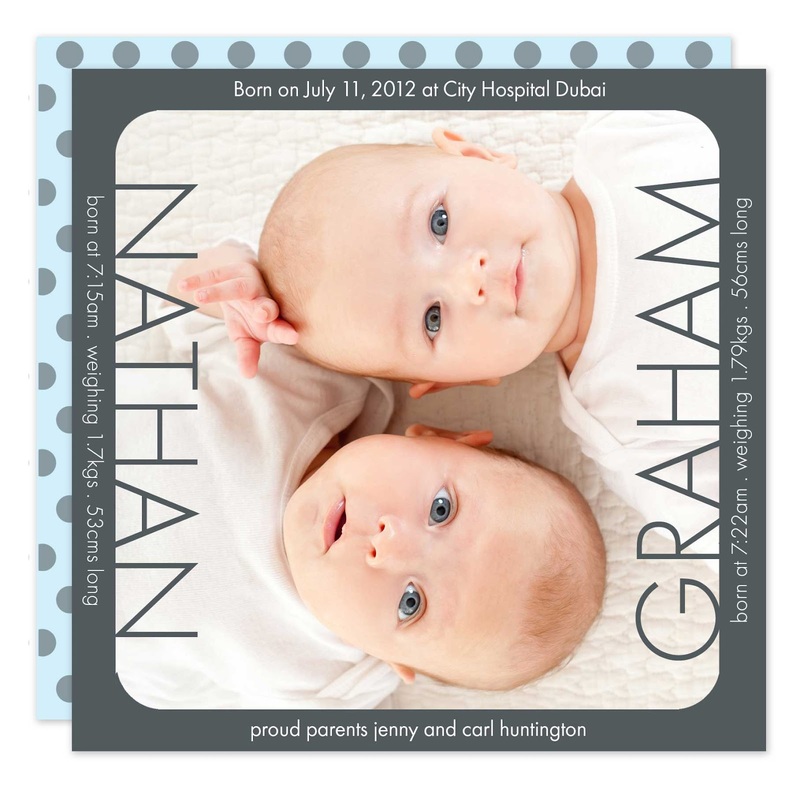 Spread the news with a gorgeous photo birth announcement designed especially for them! 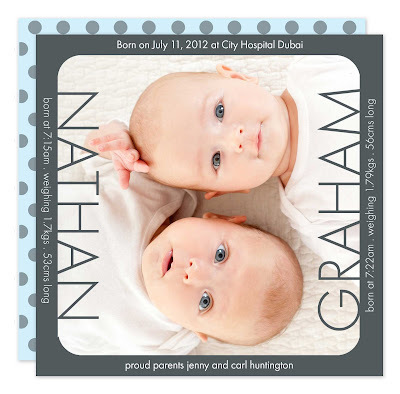 Whether you're looking for an announcement for twin boys, twin girls or a mix of both styles I can design it for you. Feel free to get in touch with me for more details.